If a voter challenges another voter’s eligibility to vote. Oregon’s vote-by-mail system balances election integrity and voter access by requiring additional action from these voters to ensure there is a correct vote count. The processes for counting ballots and resolving ballot issues is outlined in the Elections Division’s Vote By Mail Manual, which is adopted by rule to ensure conformity across the state. Page 52 outlines the process for resolving ballot challenges. Pages 83 and 84 include sample letters of what county elections offices will send to voters with instructions on how to correct ballot issues. “Please resolve any ballot issues by November 20 to ensure your voter registration does not become inactive,” added Secretary Richardson. On November 14, the list of ballots containing signature issues will become public record. Oregon law gives voters until November 20 to resolve any issues with their ballot in order to have it counted. 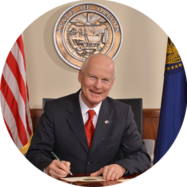 Oregon law also requires that voters who do not resolve issues with mismatching signatures or challenged ballots by November 20 must be placed into an inactive status until they update their registration. In the 2016 General Election, 28,322 ballots statewide were challenged or had signature issues. The total number for this election is not yet known.